Gwillym Michael Hewetson died after getting into trouble during the descent in Bern on October 4. A death notice published today said he was sadly missed by his mother, sister and nephews. "He lived life to the full and died doing what he loved." A press release issued by Canton of Bern police said the accident happened late on Thursday afternoon. 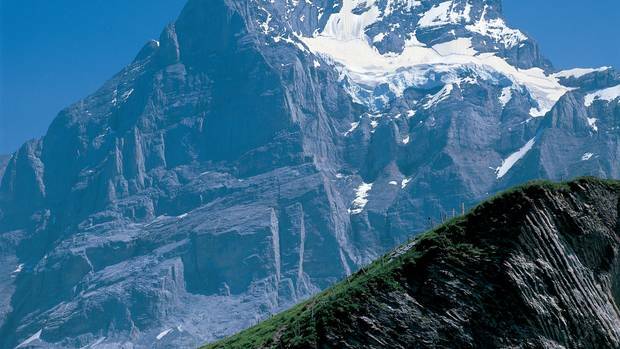 Three people had been involved in the base jump at Stockhorn - a mountain of the Bernese Alps. The operation started about 4pm. Hewetson found himself in difficulty during the descent, then fell on rough terrain. Two people accompanying him alerted a Rega helicopter, which rushed to the area to search for him. Friends and family have taken to social media to pay tribute to the Kiwi. "Gwill was an inspiration to me," said one friend. "It's so rare to find your passion in life and have the courage to live it. Whether it was an expedition to the Mariana Trench or jumping off the Eiger, Gwill lived life to the fullest. RIP my friend." A Ministry of Foreign Affairs and Trade spokesman said consular assistance was being provided to Hewetson's family. An investigation was under way to clarify the circumstances around the death. Two other New Zealanders have died in similar accidents in Switzerland. In 2014, Dan Vicary (33) died after crashing into a field following a jump from a helicopter over Switzerland's Luetschental Valley. Two years earlier, Te Awamutu man Alan McCandlish (31) died after hitting a ledge while base jumping in the mountain region of Berner Oberland.